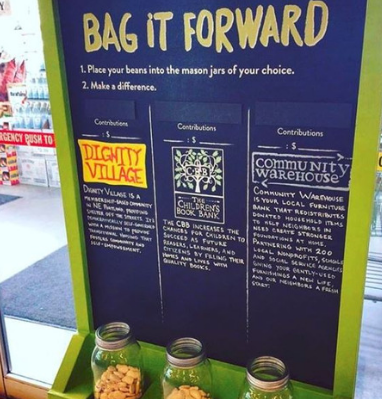 In New Seasons’ Bag-It-Forward program, any New Seasons shopper can donate their 5-cent reusable bag refund to one of three nonprofits chosen as the beneficiary for that store. Over $346,238.90 has been donated to Bag it Forward partners since the beginning of the program! 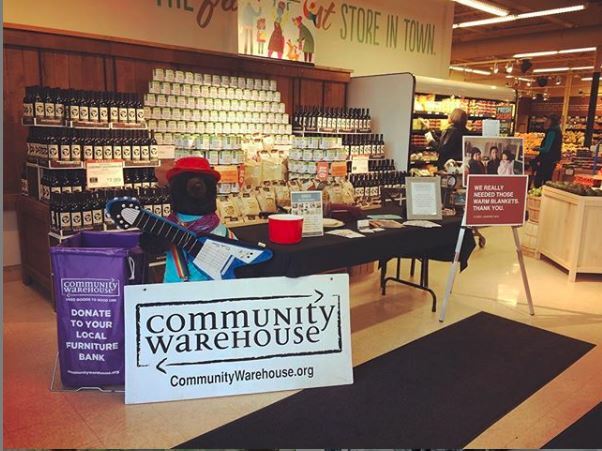 Community Warehouse and New Seasons have found many opportunities to make a difference in the community together. 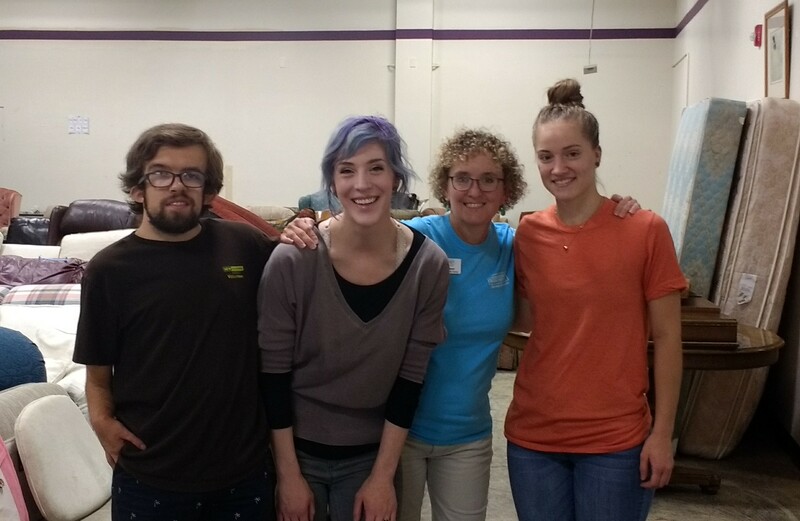 Volunteer groups from Williams and Nyberg Rivers stores have rolled up their sleeves at the Portland and Tualatin Warehouse locations, building furniture and sorting donations. And in December, employees at the Cedar Hills store hosted a donation drive, filling our Community Collects bins with gently used household and kitchen items, helping us restock on some of our most needed donations. 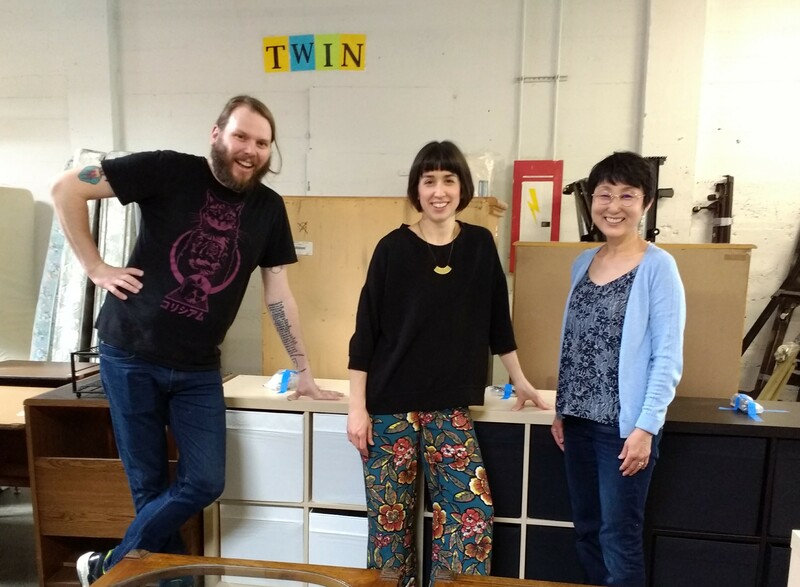 Being a Bag-It-Forward benefactor in four locations is a great opportunity for people to learn about Community Warehouse over a wide swath of the Portland metro area. It’s a great example of how every little conscientious act counts, and it’s amazing how those nickels add up when everyone makes a small contribution into a large pool to help organizations doing good the community.